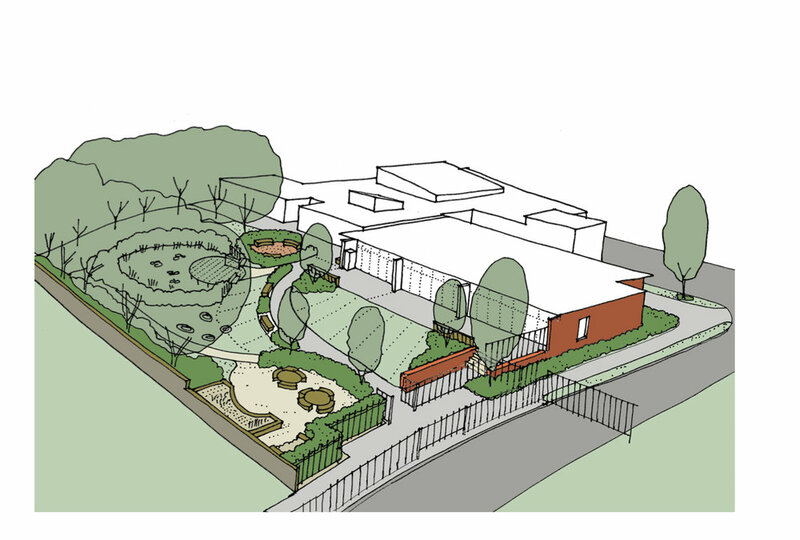 Proposals for an infant school expansion close to the South Downs National Park, and land locked by housing have been developed by HCC. As with any school, site security, safeguarding, health and welfare of the children were considered from the outset. Working closely with the school the proposals have been developed to preserve the school’s existing sports pitches and outdoor play areas, with outdoor learning spaces and growing areas being integrated as part of the architectural proposals. The new block has been positioned in an underused grassed area at the front of the school. The land falls away from the entrance towards the front gates and required levels to be carefully considered from the outset. Other infrastructure improvements are to be implemented as part of the proposals.